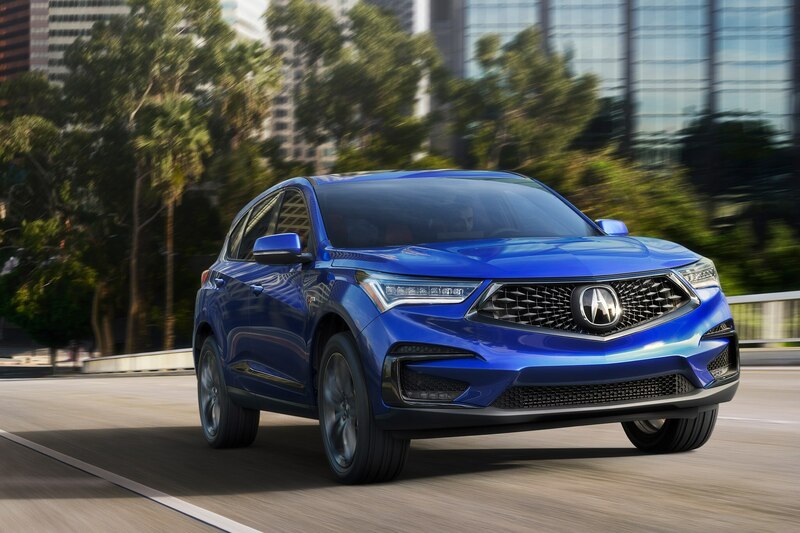 Your wait for a refreshed 2019 Acura RDX is finally over—the third generation midsize crossover was unveiled at the 2018 New York International Auto Show. 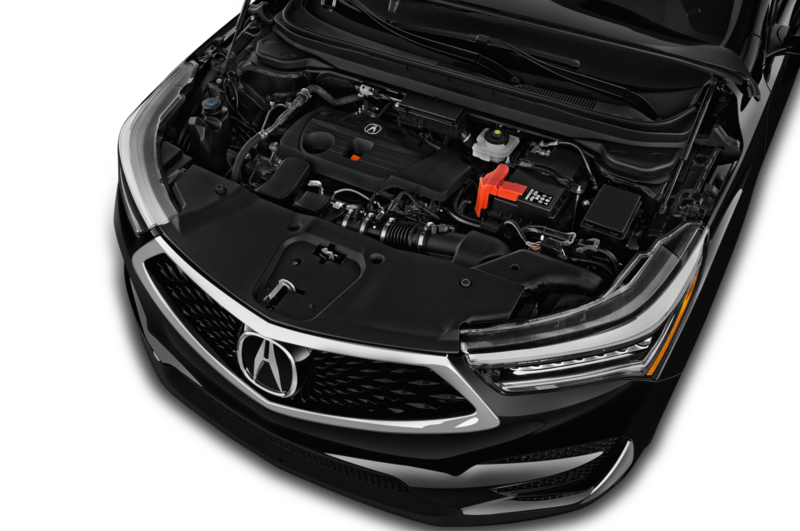 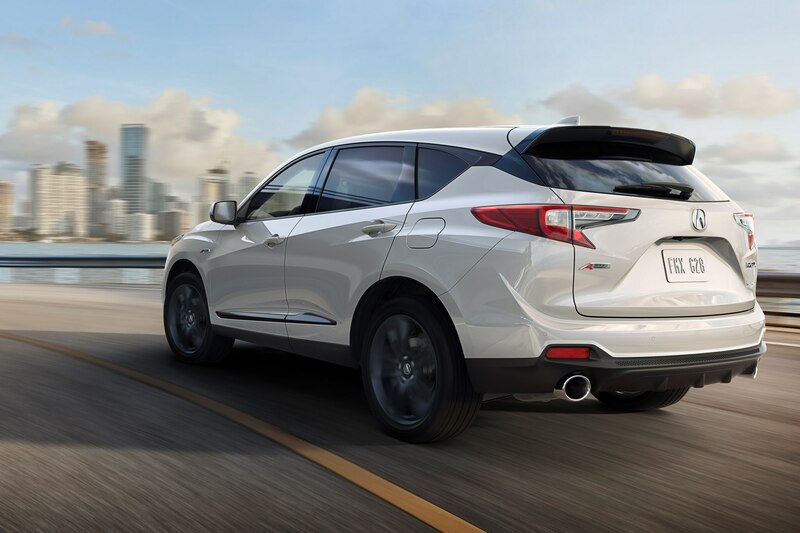 This time around instead of a V-6 engine, the latest RDX packs a turbocharged 2.0-liter four-cylinder engine that produces 272 hp and 280 lb-ft of torque—up 28 lb-ft over the V-6’s digits. 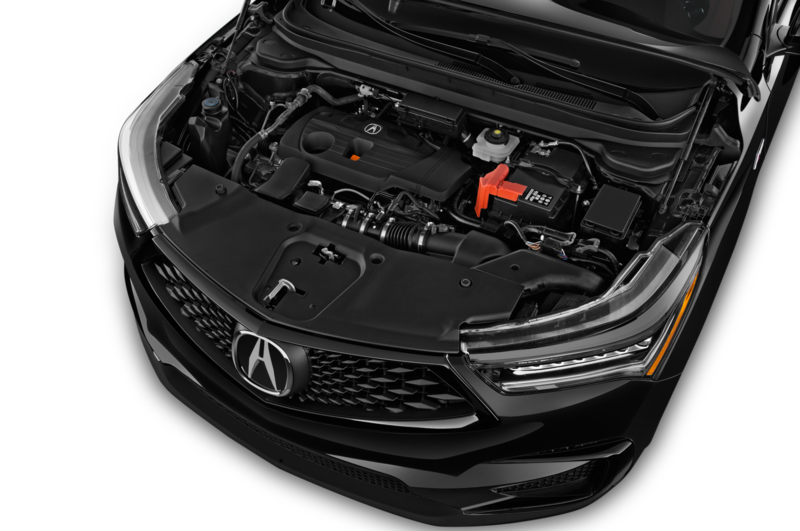 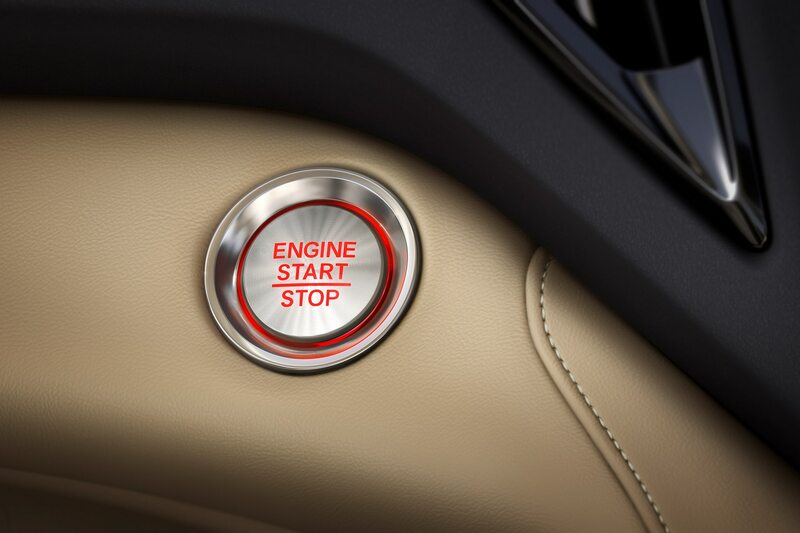 The peppy, new engine is mated to a 10-speed automatic transmission. 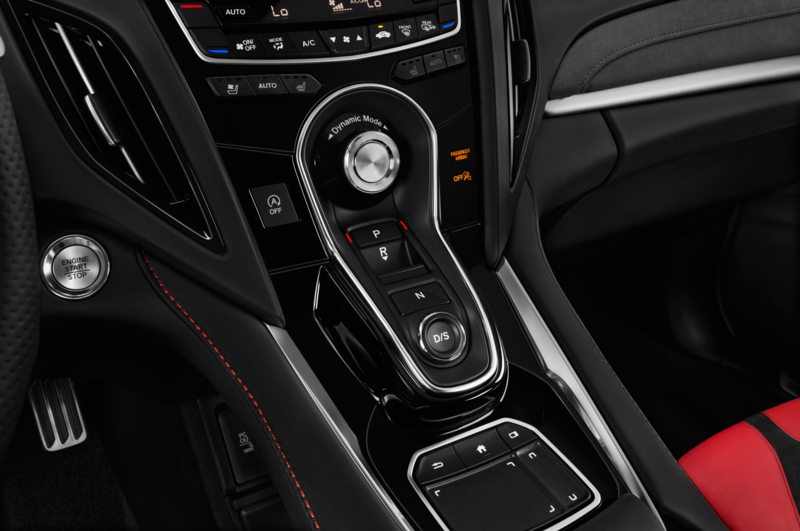 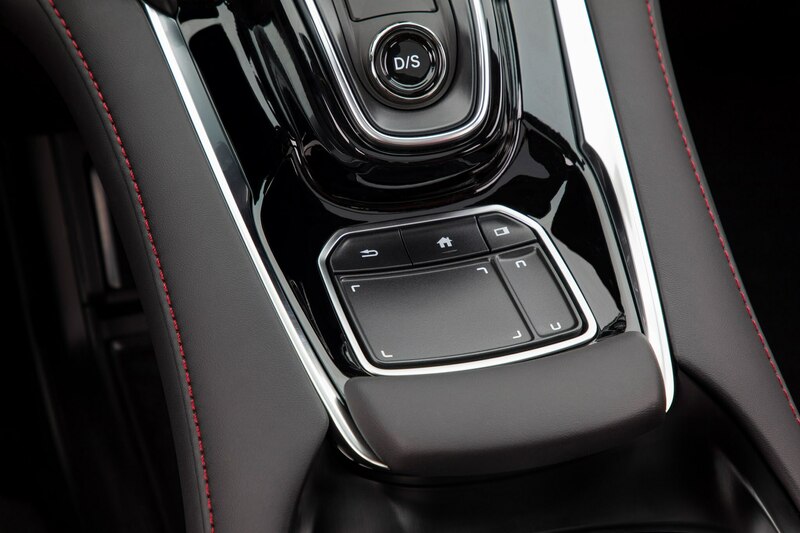 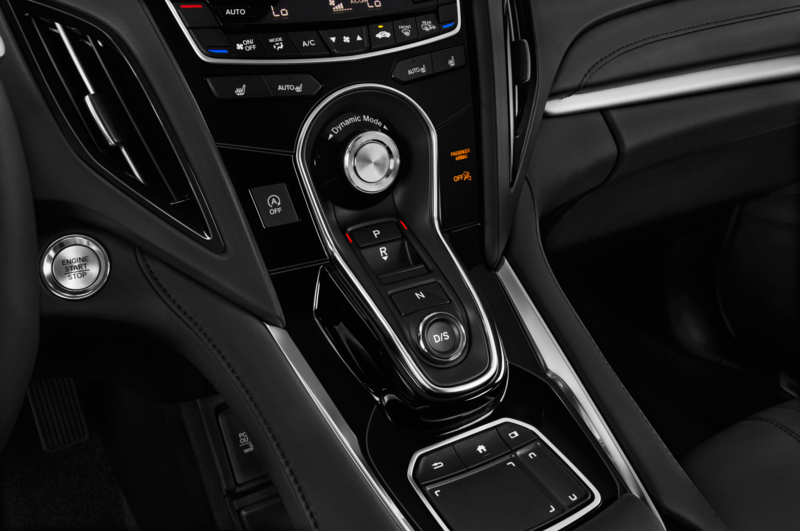 There are also four drive modes to choose from that include Snow, Comfort, Sport, and Sport+. 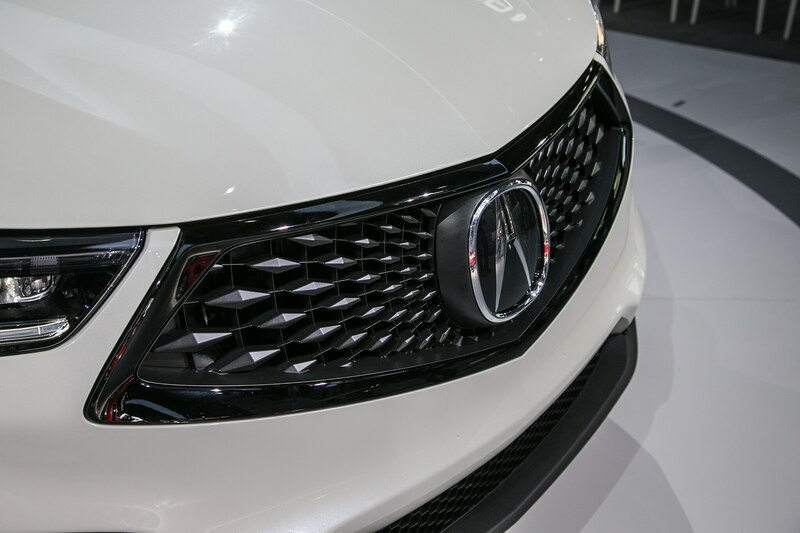 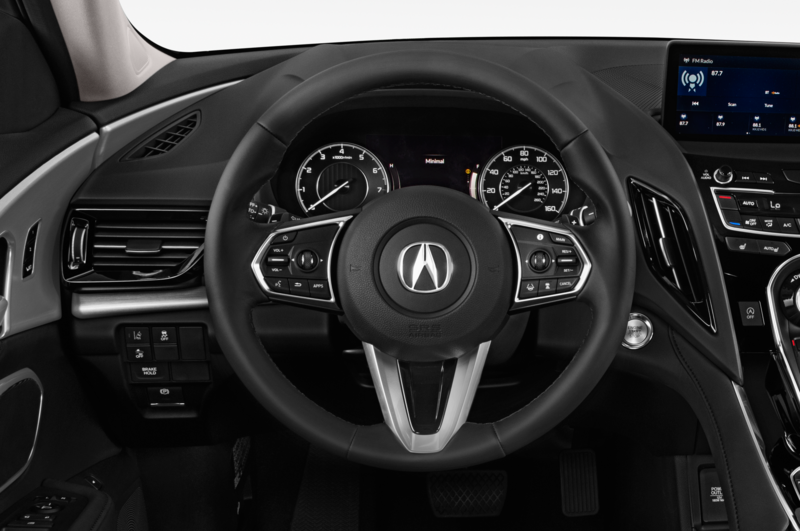 Acura says the redesign also marks the return of torque-vectoring Super Handling All-Wheel Drive (SH-AWD) to RDX—OMG! 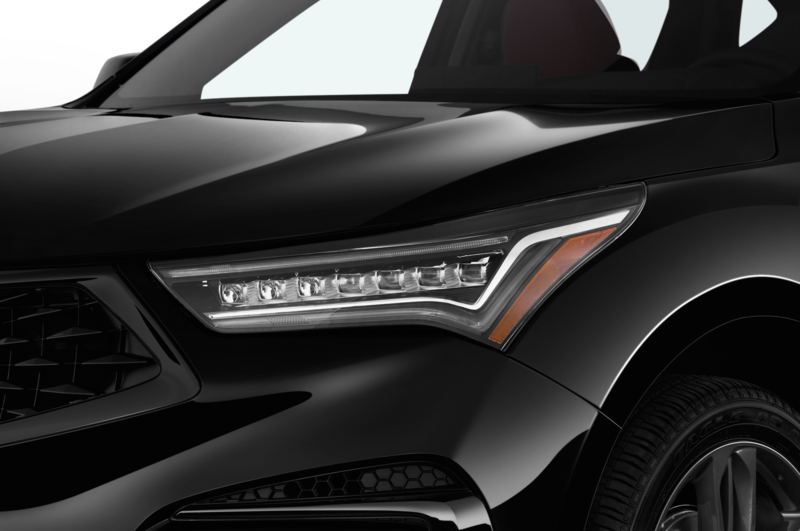 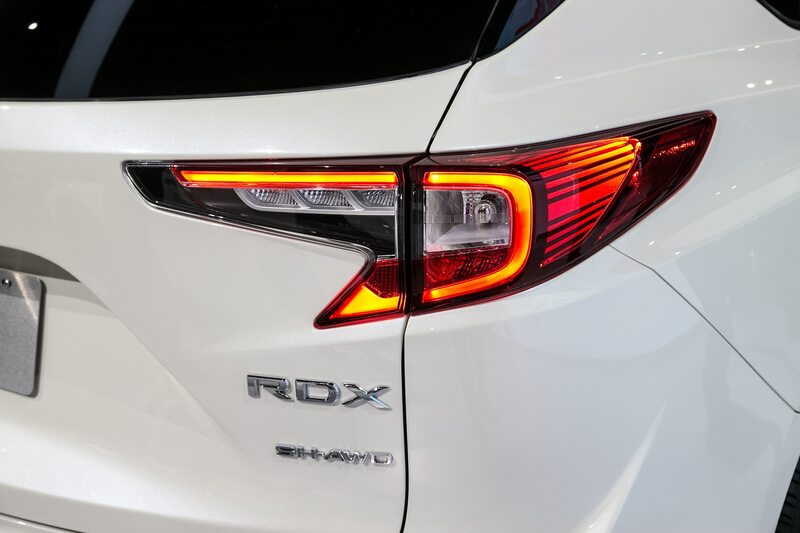 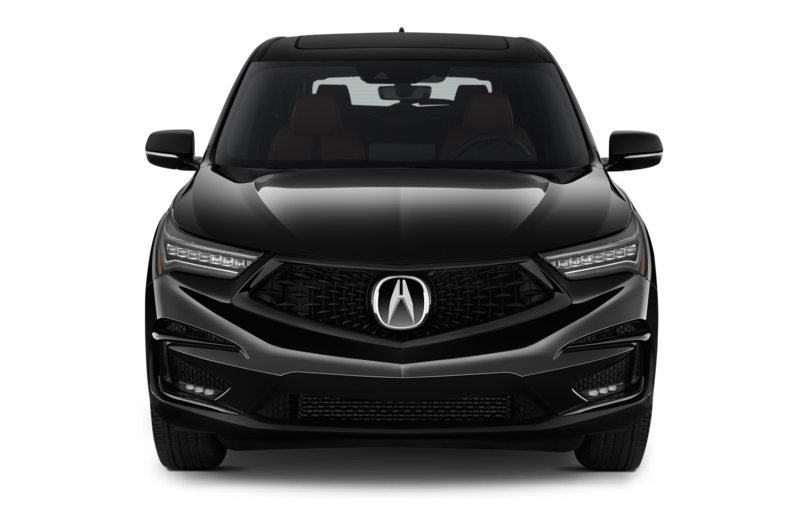 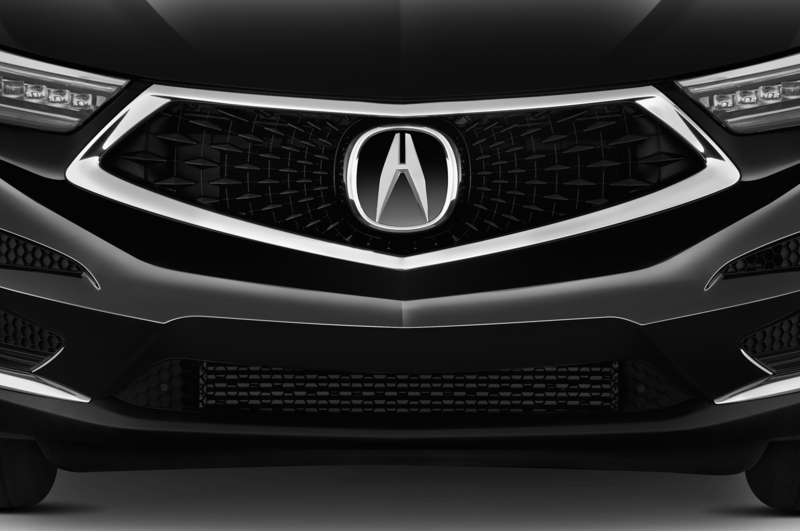 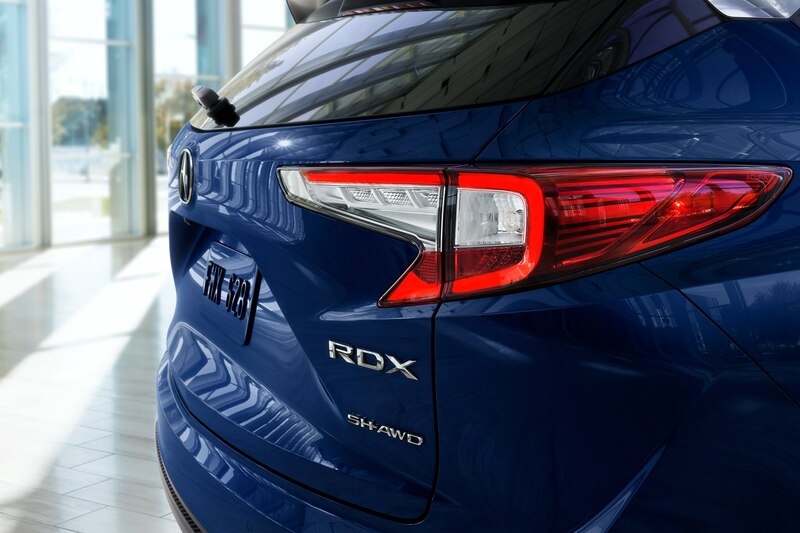 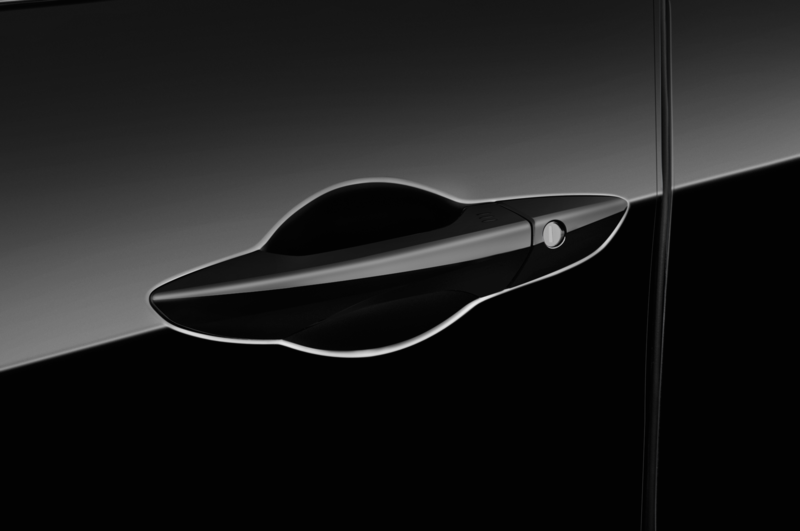 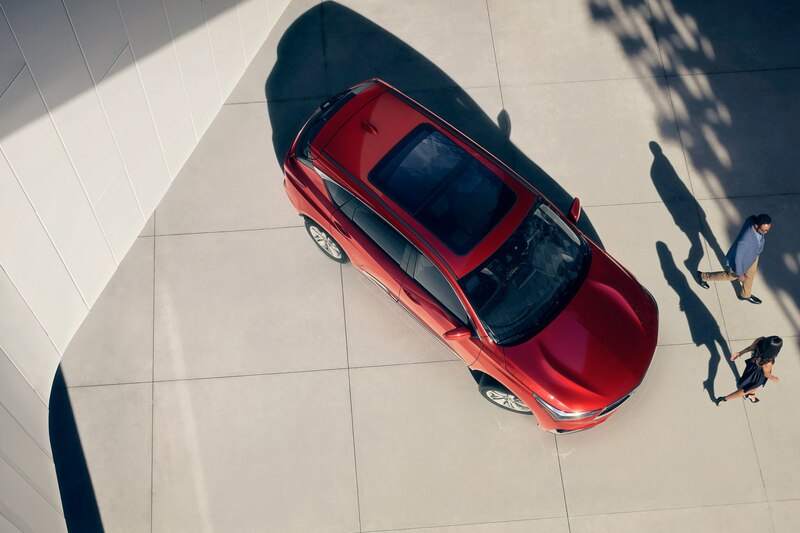 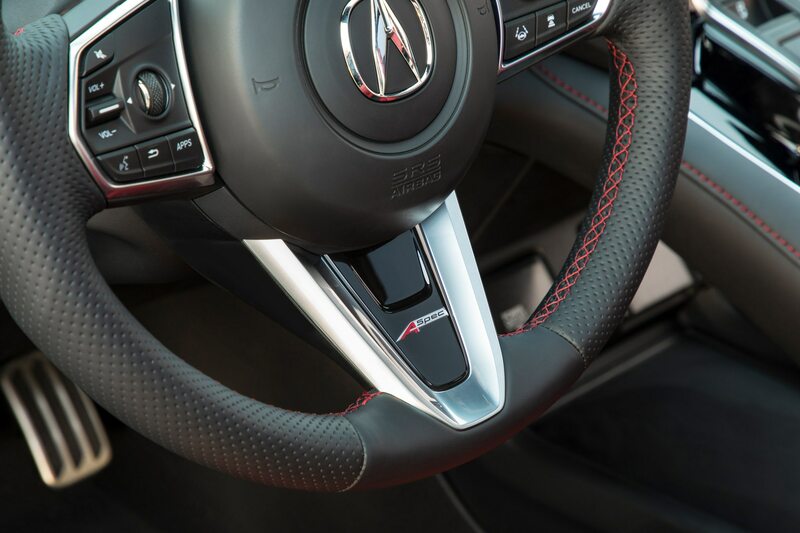 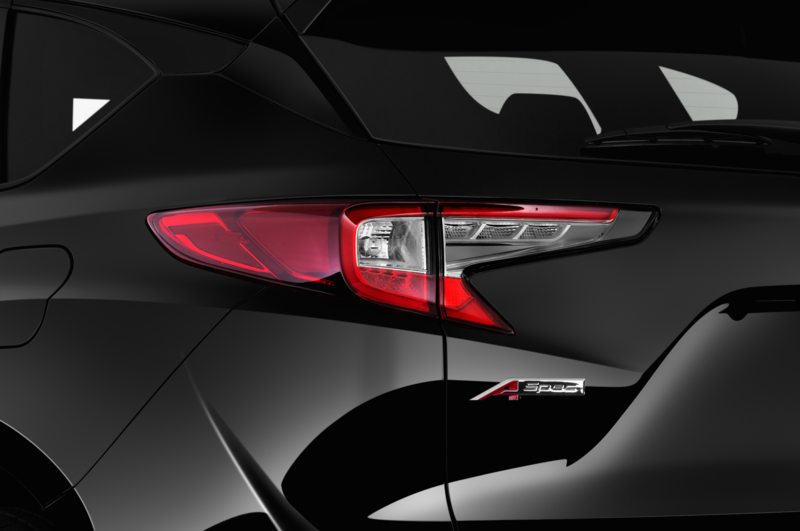 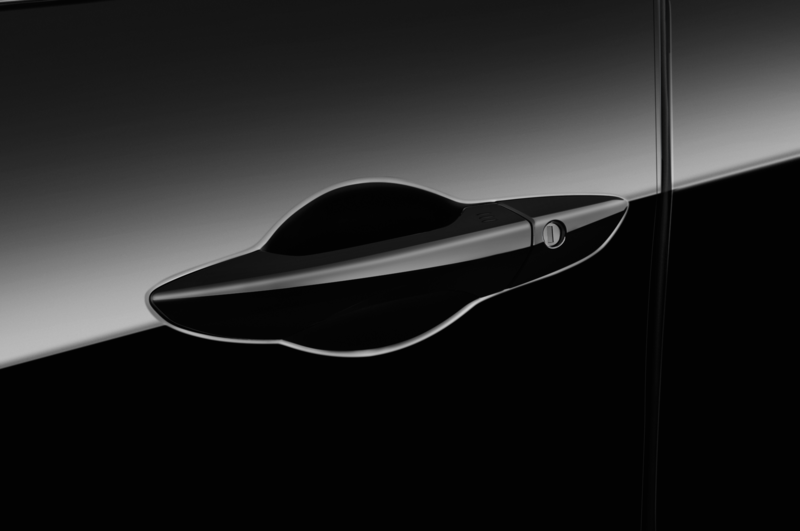 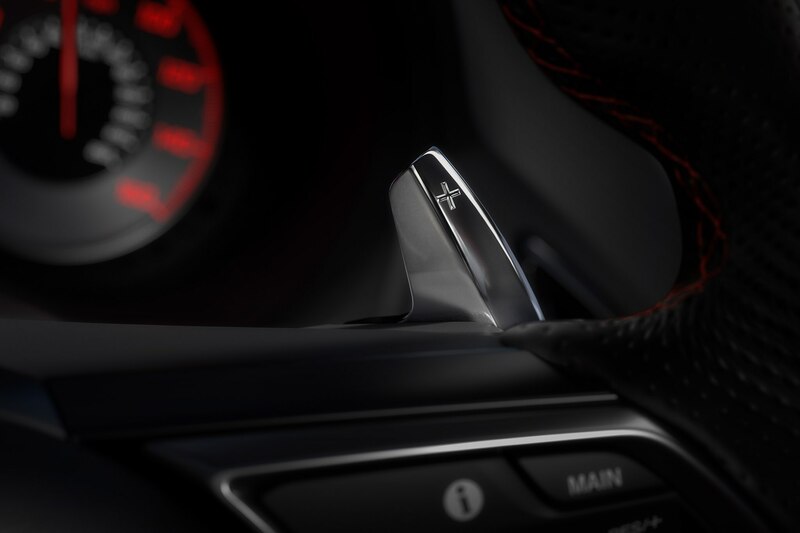 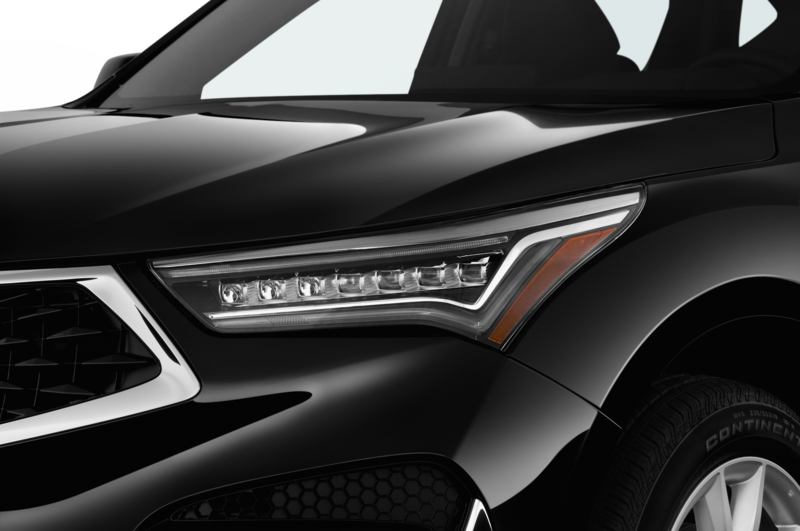 “The 2019 Acura RDX signals the start of a new era for the Acura brand by delivering design, performance and prestige that will elevate its position in the luxury market’s fastest growing segment,” said Henio Arcangeli, Jr., Acura/Honda senior VP, said in a statement. 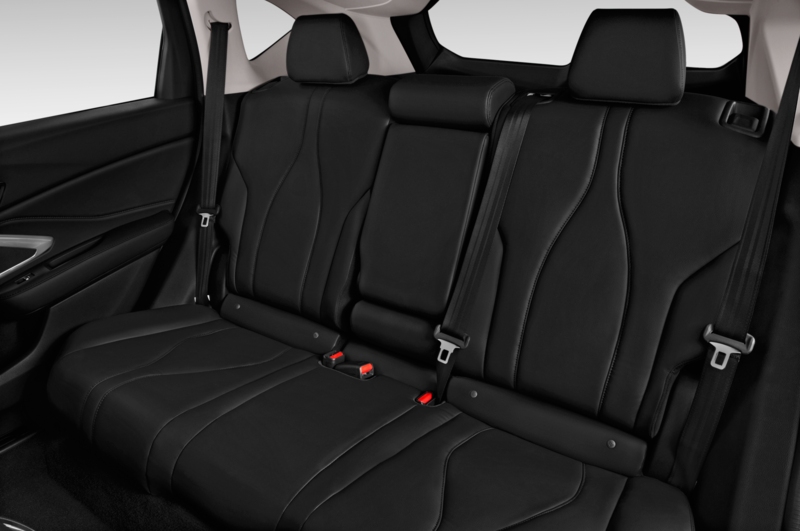 The five-passenger SUV measures 186.9 x 74 x 65.7 inches (L x W x H) and has a wheelbase of 108.3 inches. 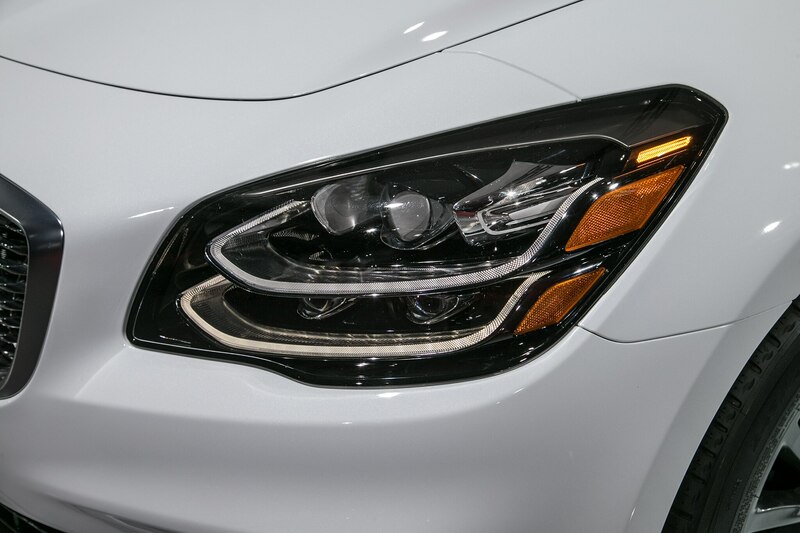 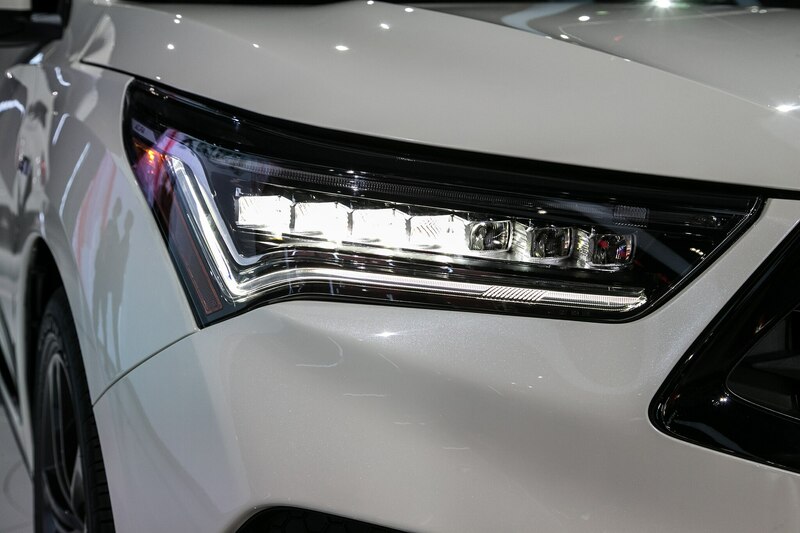 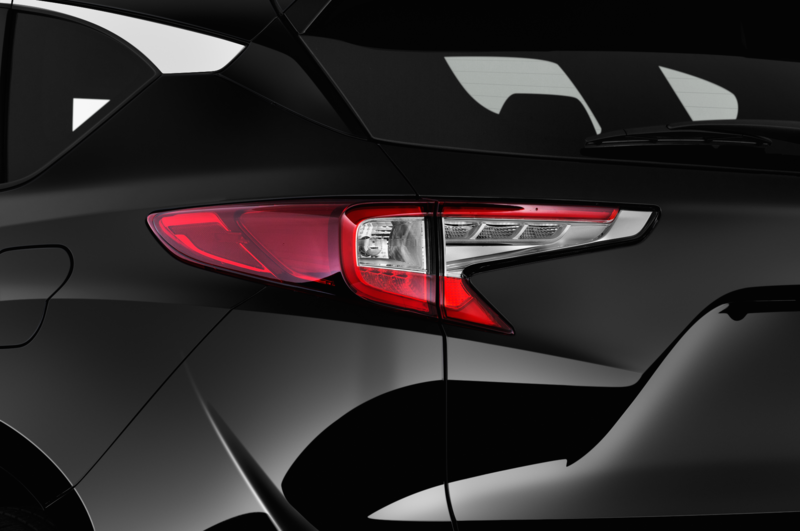 It sports a Diamond Pentagon Grille (DPG) and all-new Jewel Eye (JE) headlights up front and fancy LED taillight around back. 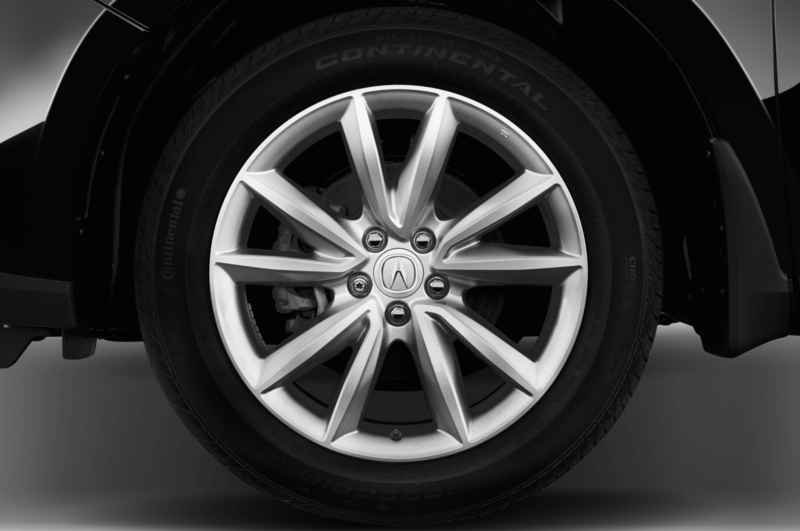 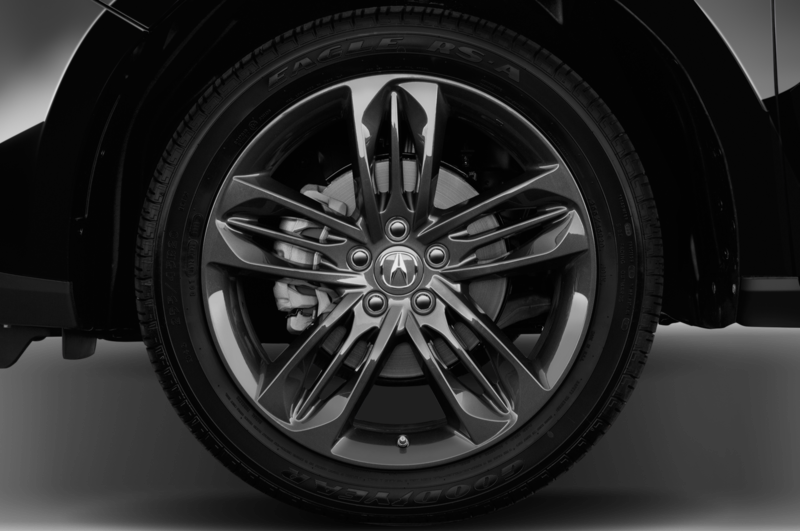 It rolls on 19-inch alloy wheels. 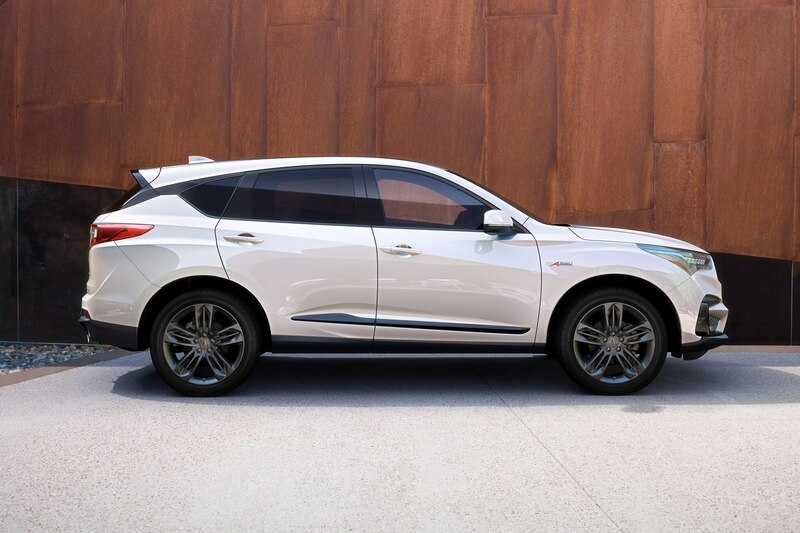 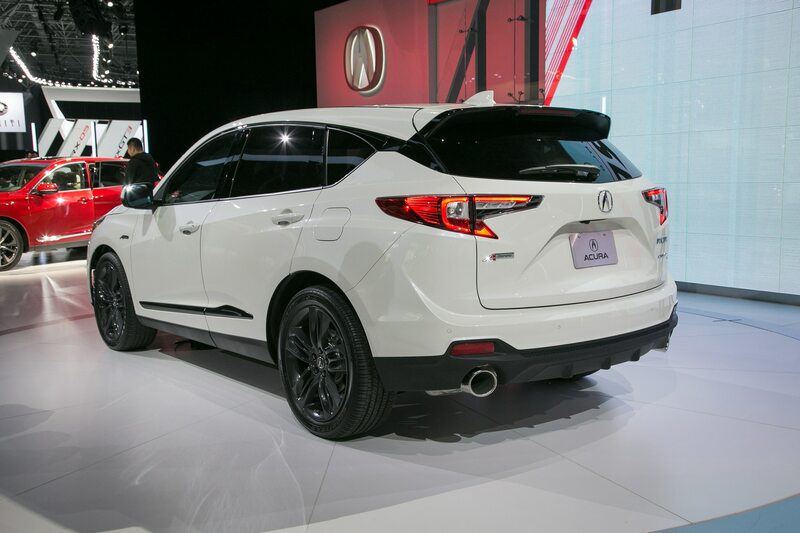 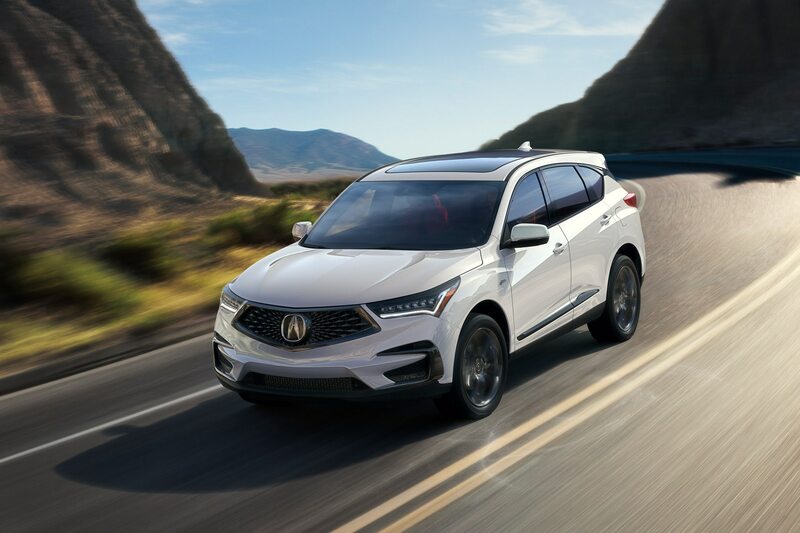 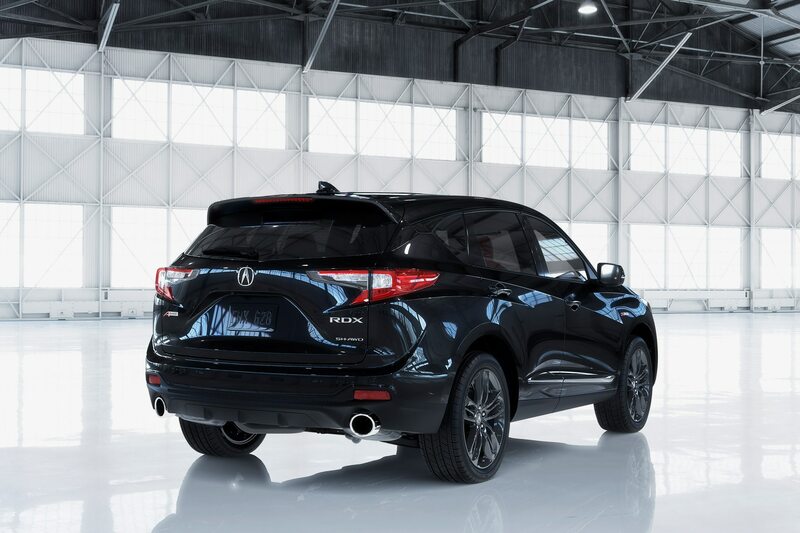 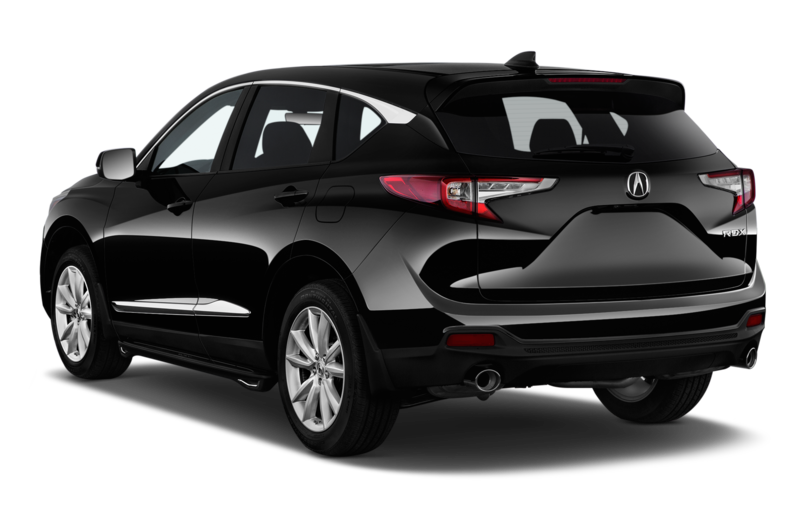 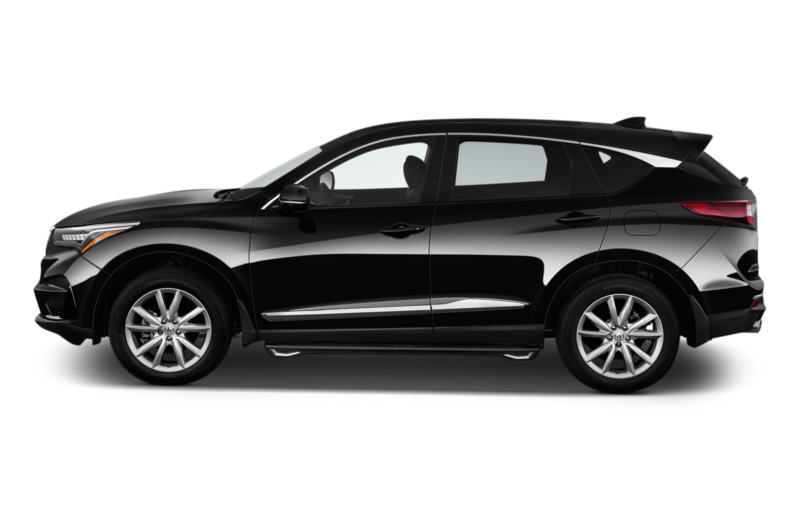 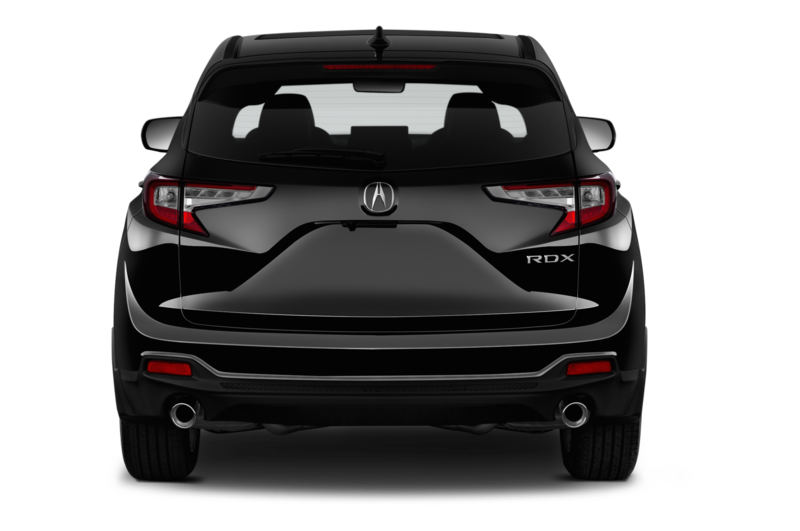 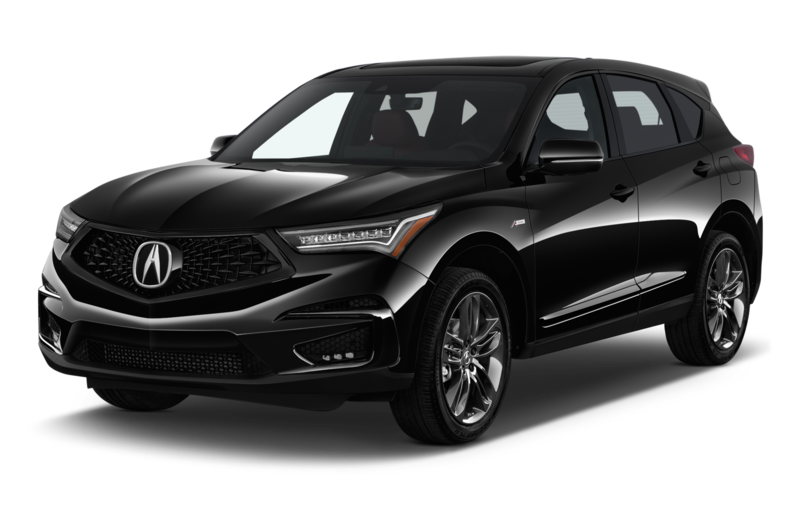 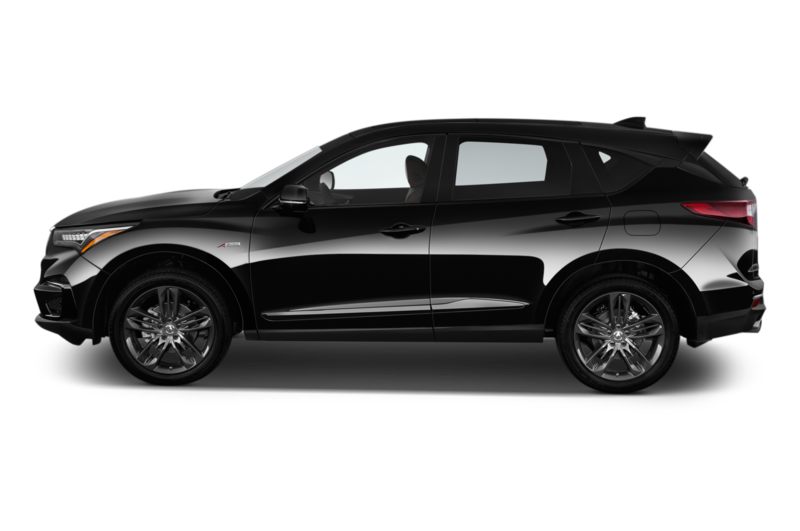 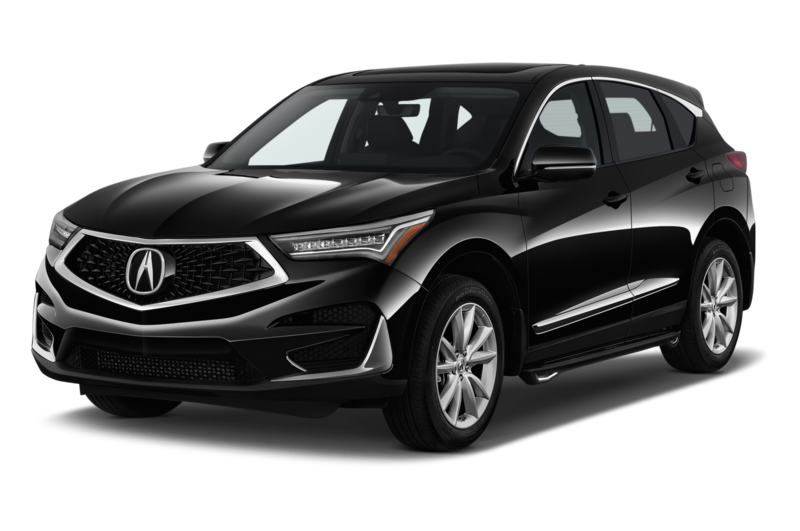 Acura’s 2019 RDX sits on a new body and chassis architecture with a 2.6-inch longer wheelbase than the previous incarnation. 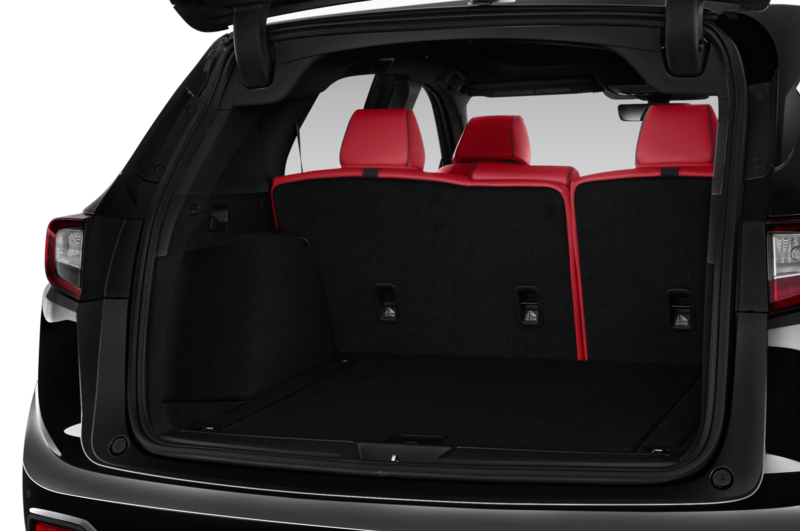 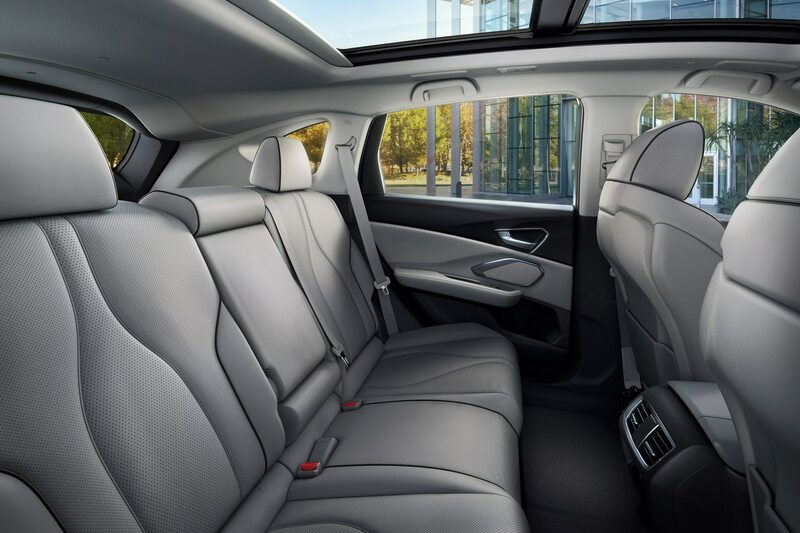 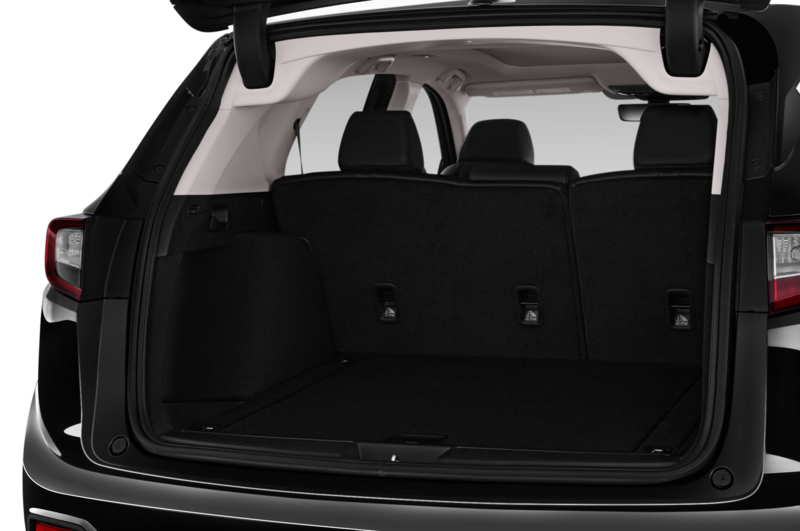 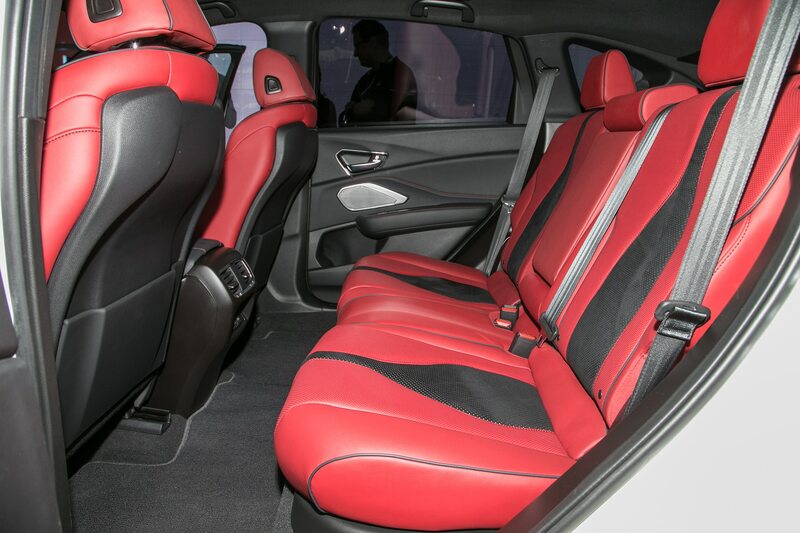 The company states that its rear seat cargo area has expanded 3.4-cubic feet with an additional 1.7 cubic-feet of compartmentalized under floor storage. 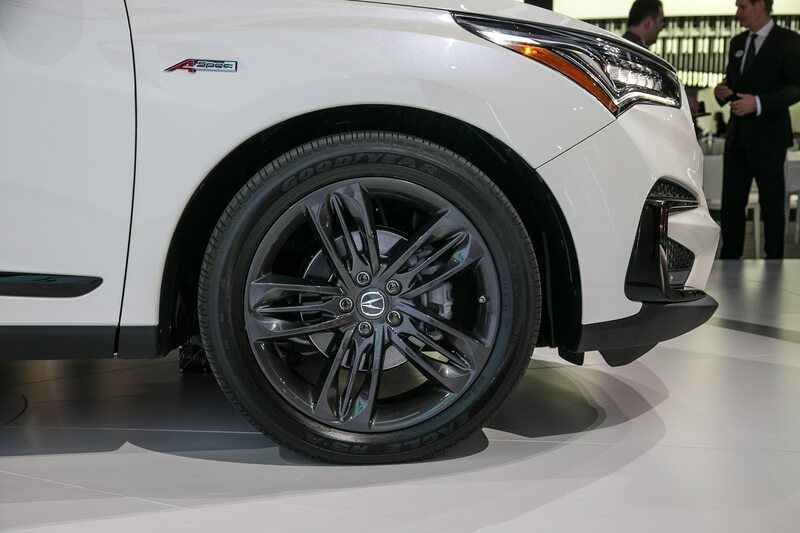 We’re guessing that’s where the spare tire used to reside. 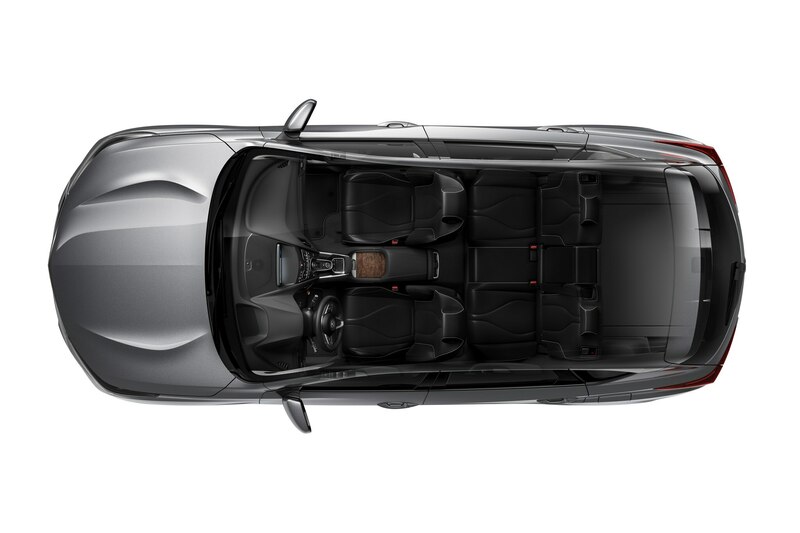 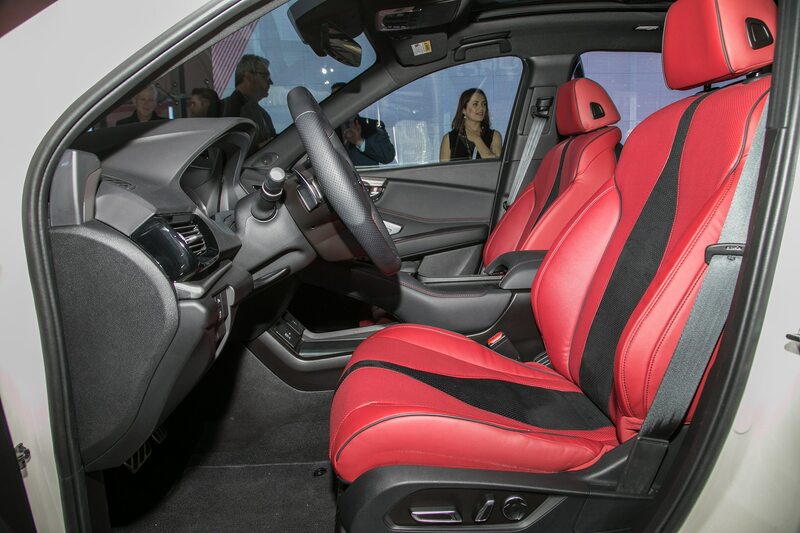 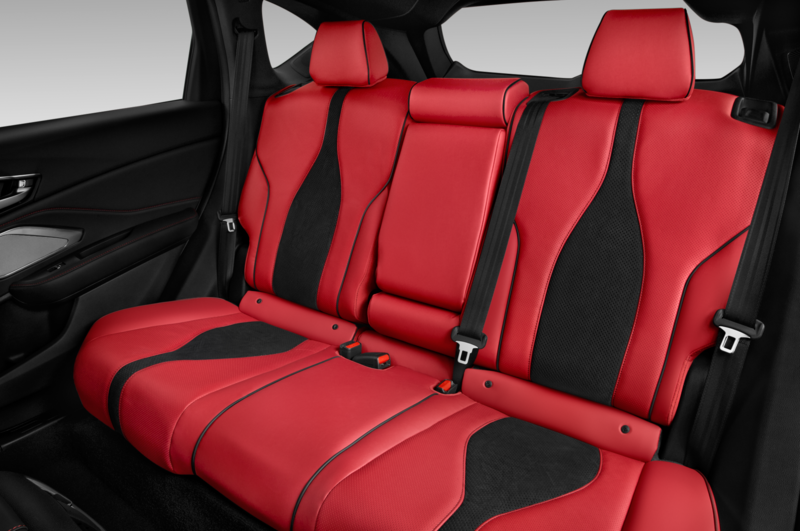 Inside gets 16-way power sport seats for the driver and front passenger, a standard panoramic moonroof with power slide and tilt functions, and a power-sliding sunshade—a nice touch. 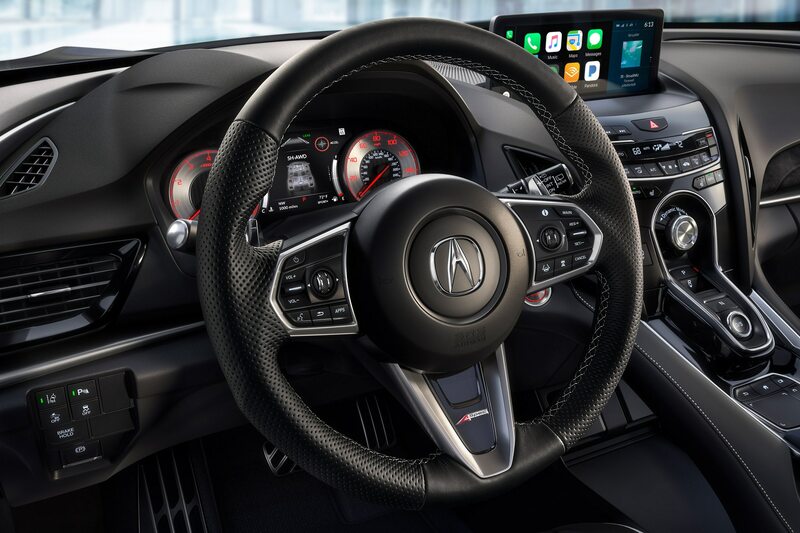 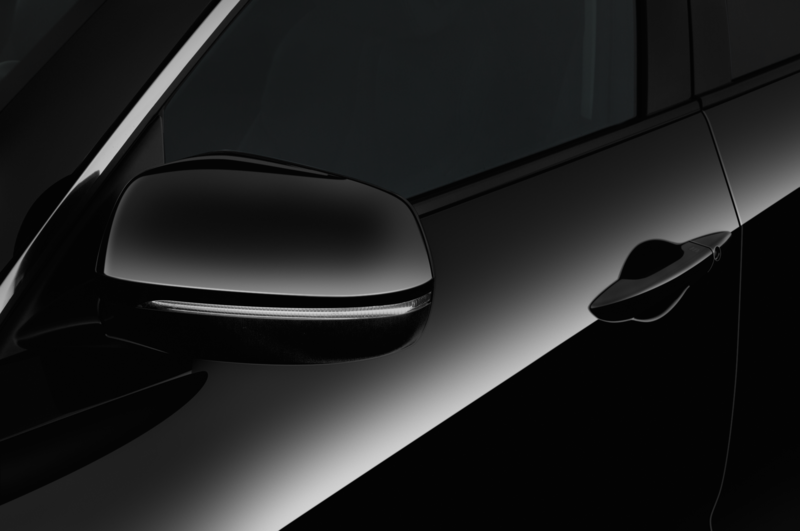 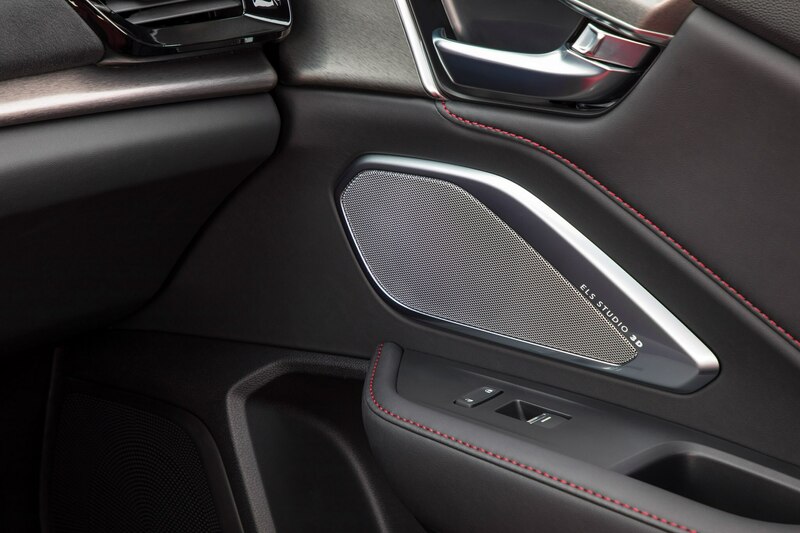 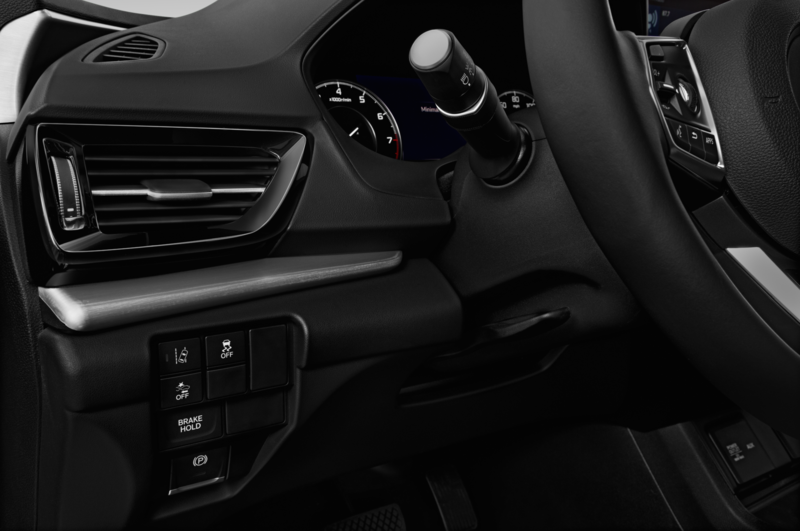 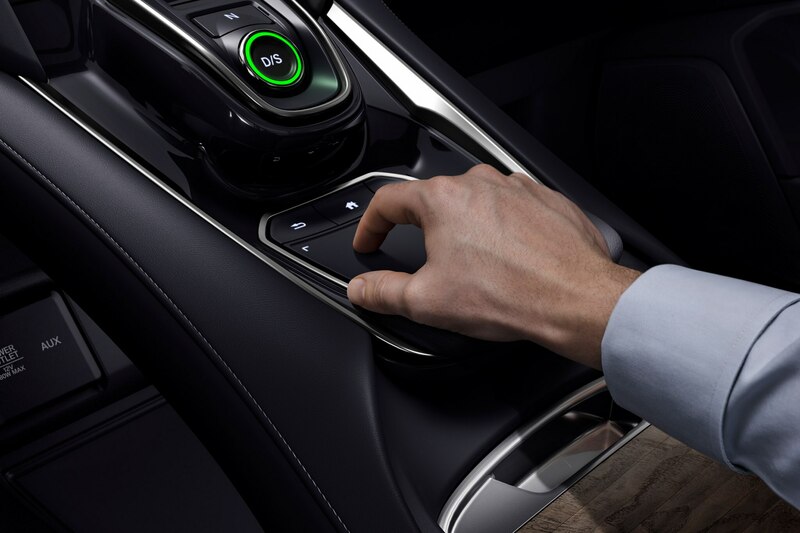 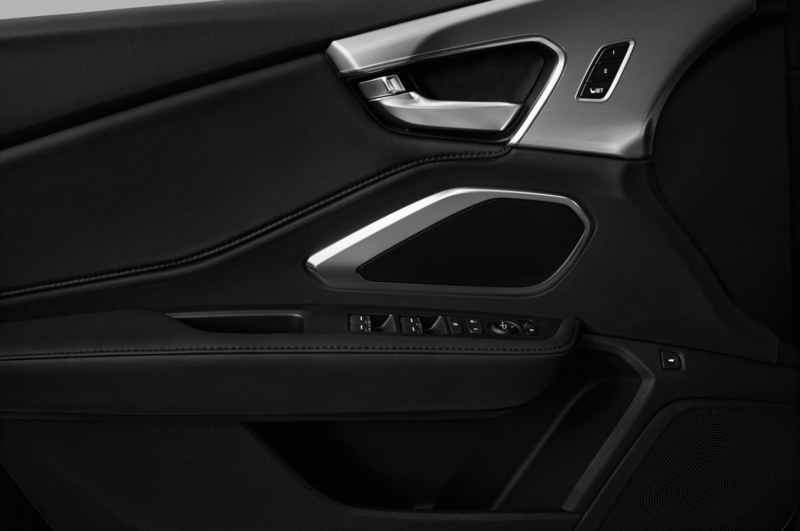 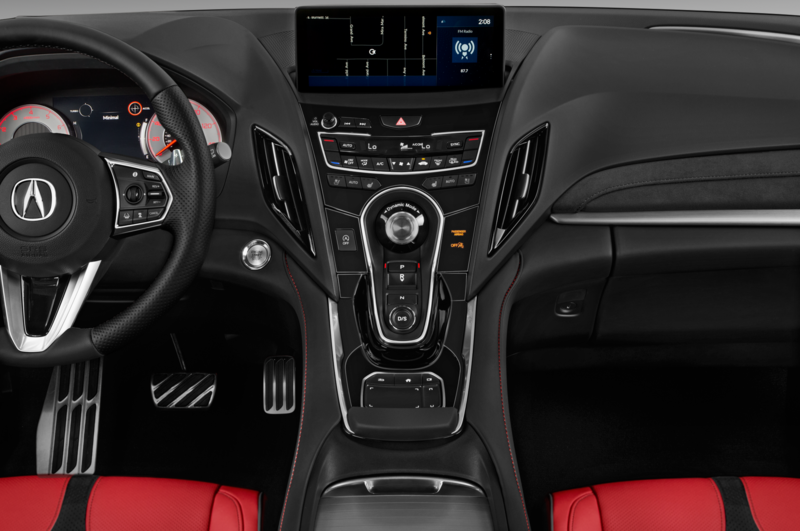 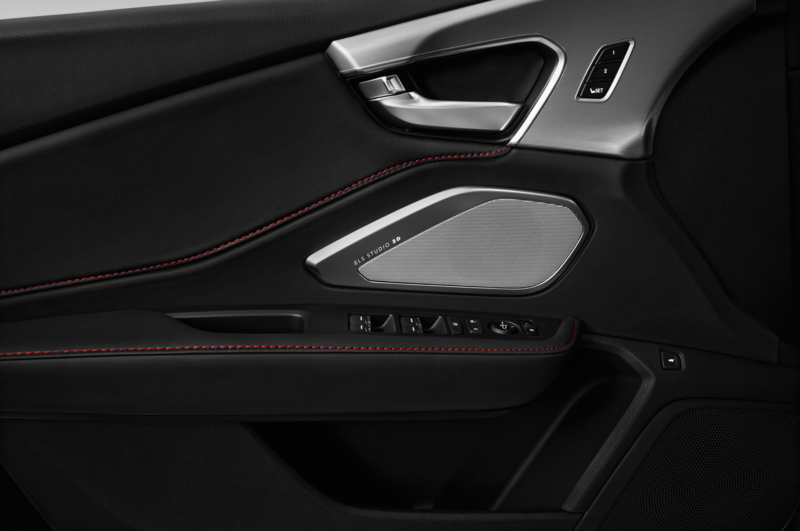 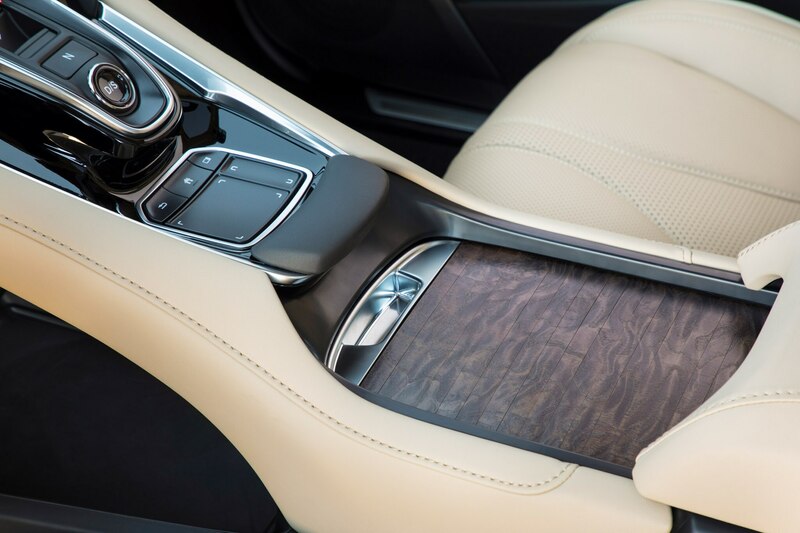 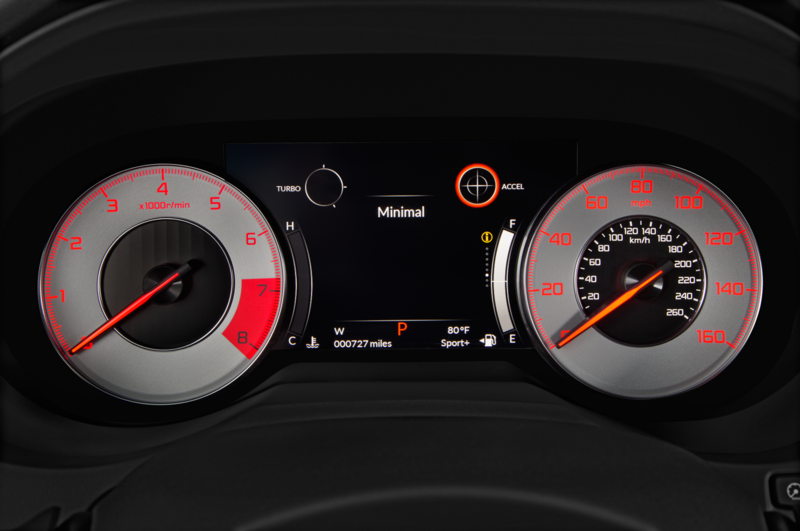 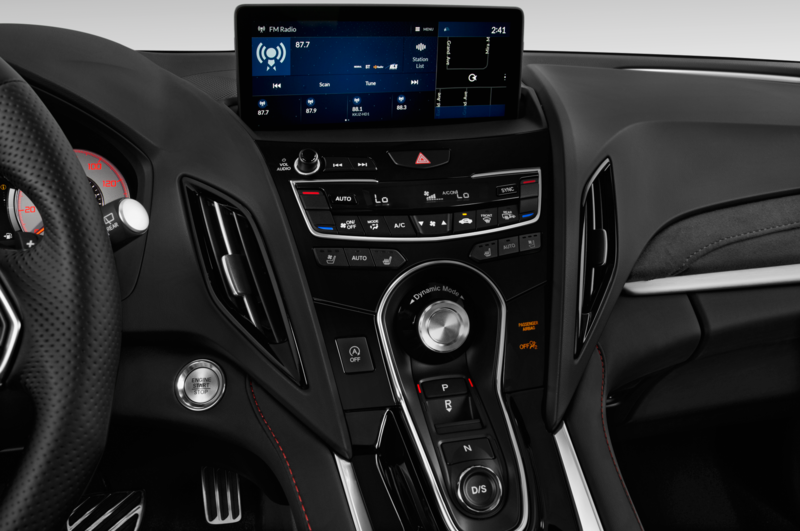 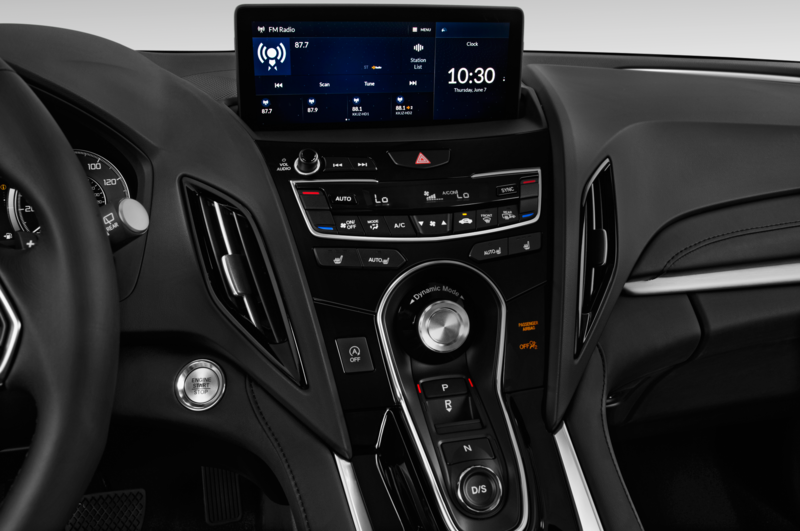 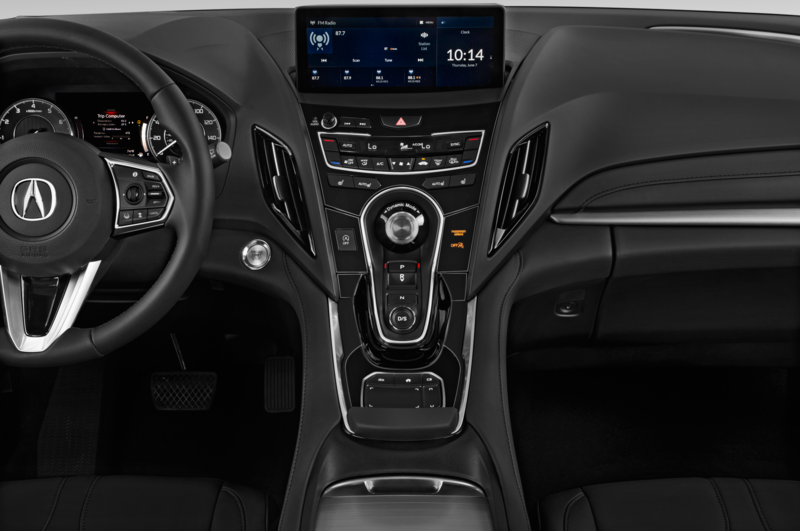 There’s also a new True Touchpad Interface (TTI) that features a 10.2-inch center display mounted on the center of the dash and a center console-mounted pad that corresponds directly with that same location on the display we are told. 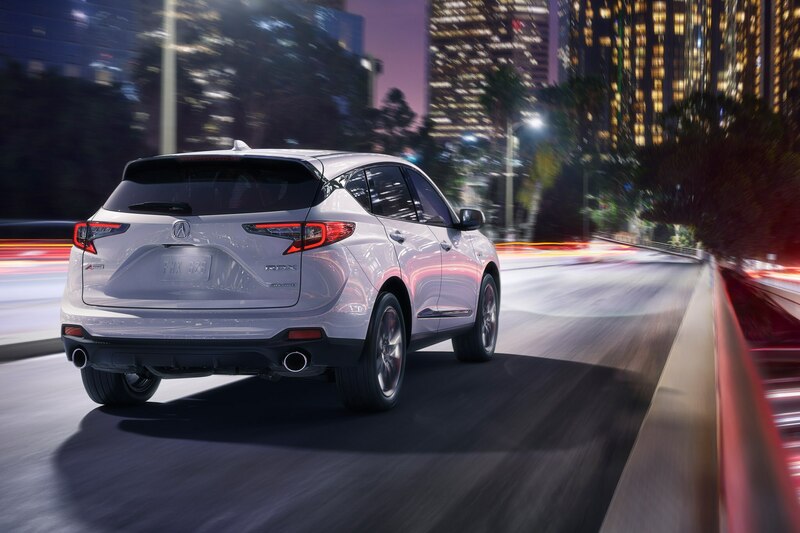 We can’t wait to try the TTI on the freeway during rush hour—LOL. 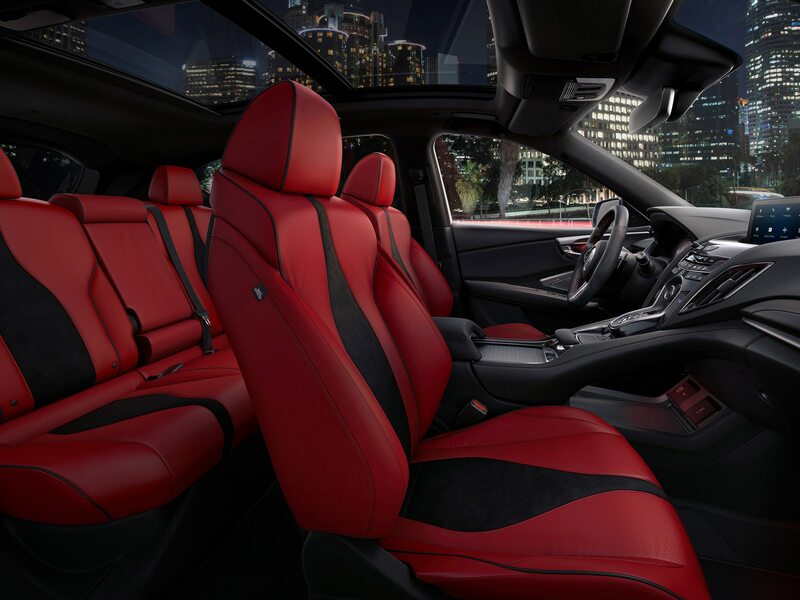 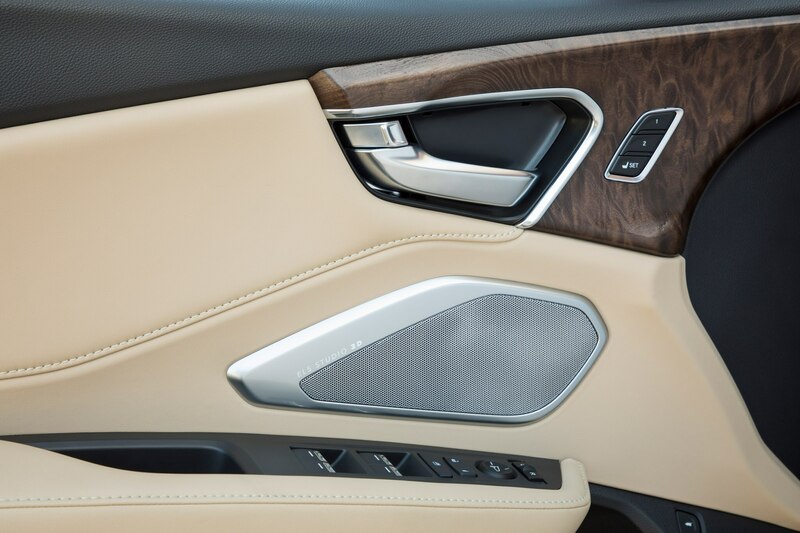 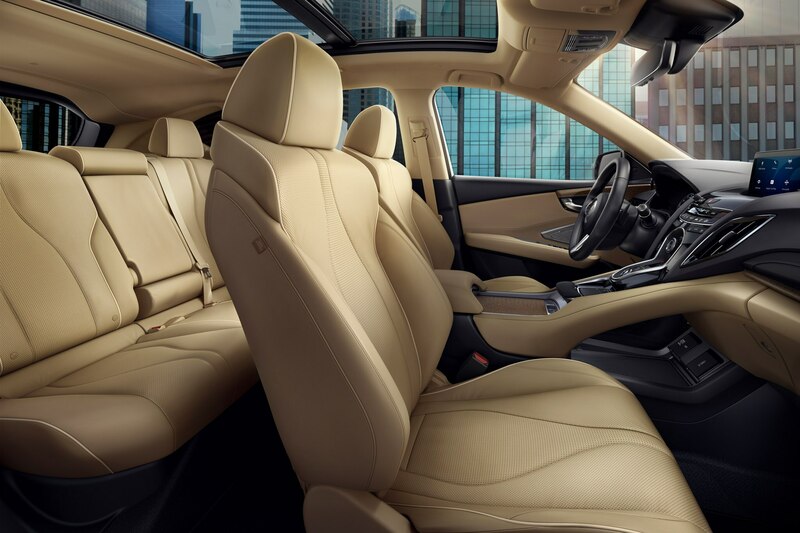 Music fans will appreciate the new Acura ELS Studio 3D premium audio system that debuts in higher trim RDXs—IDK what ELS is an acronym for, but Extra Loud Stereo works for us. 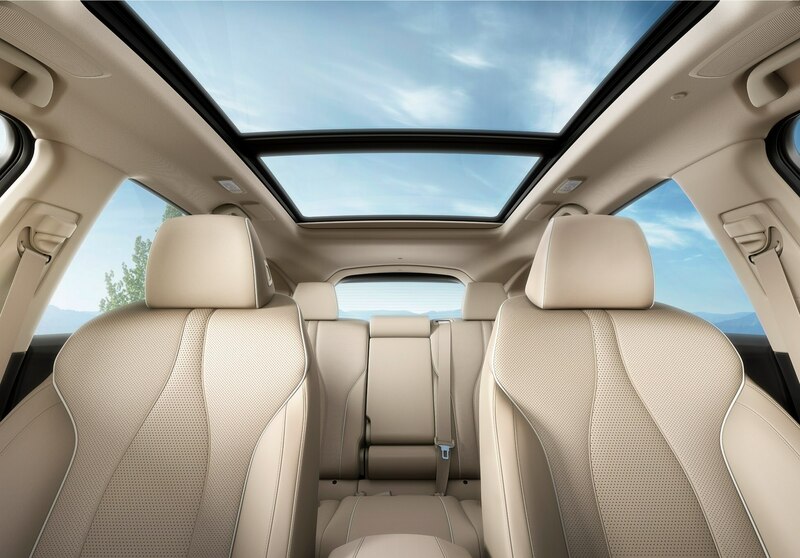 It features a 16-channel, 710-watt system with four ultra-slim Highline ceiling-mounted speakers—rock on. 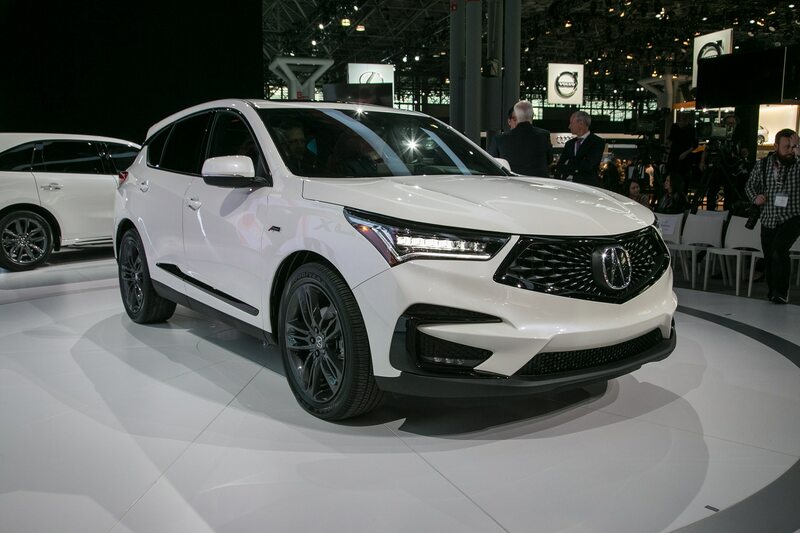 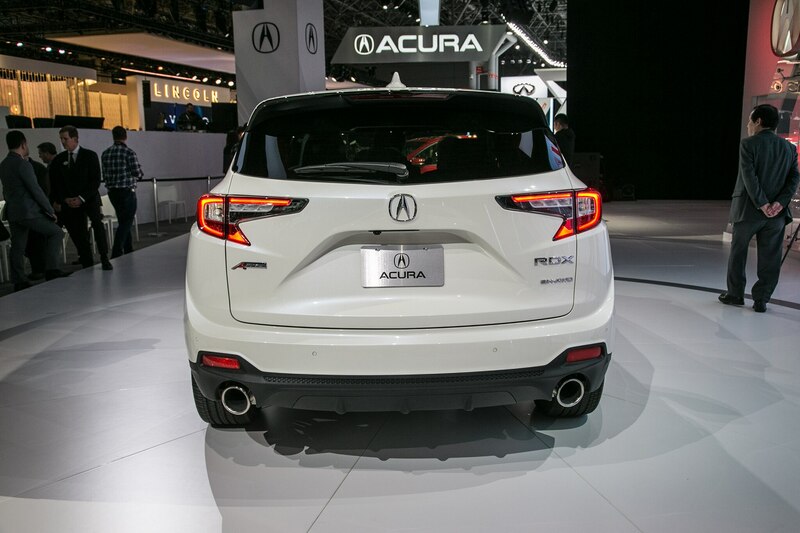 Acura also introduced the 2019 RDX A-Spec sport appearance variant at NYIAS to go with its roomer sibling the MDX A-Spec. 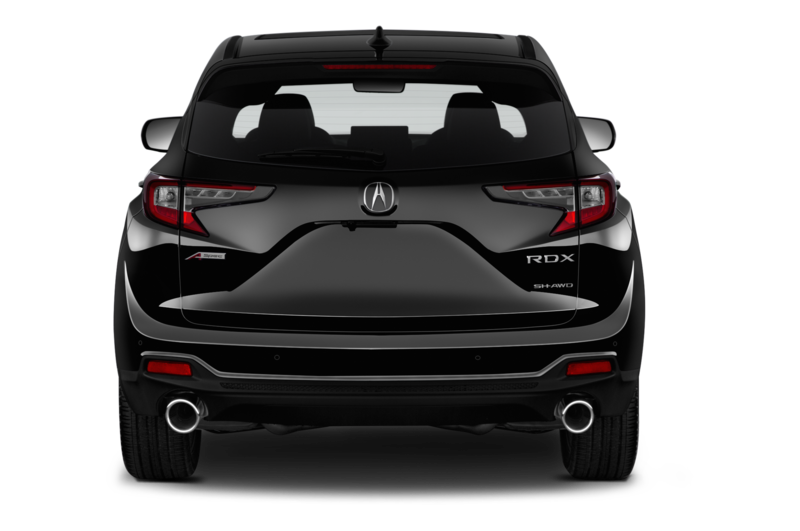 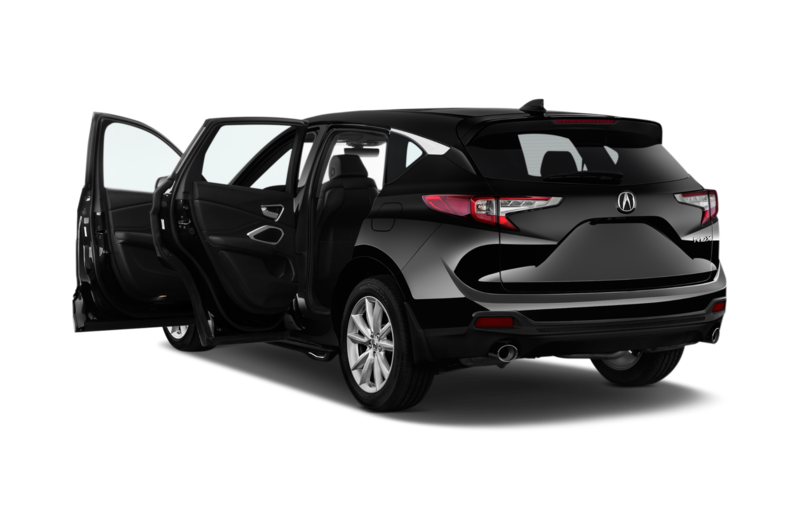 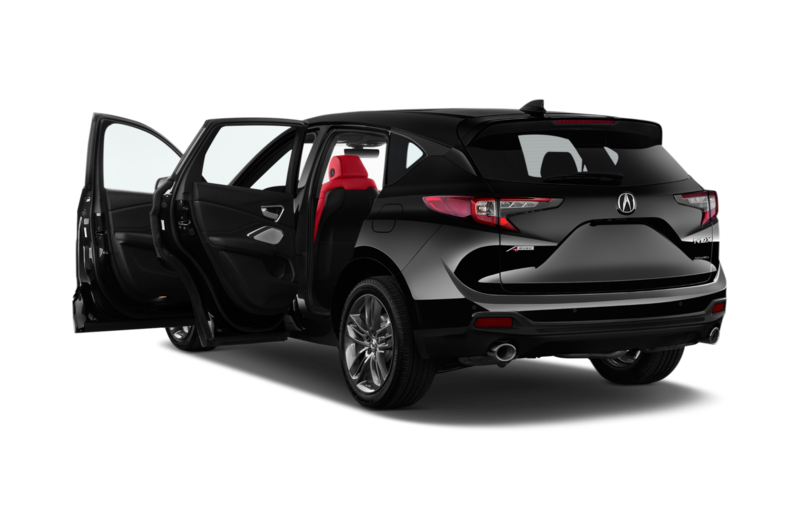 To tell it apart from a regular RDX—look for bigger Shark Gray 20-inch alloy wheels, gloss black accents, a two-tone black and red interior, and special badges. 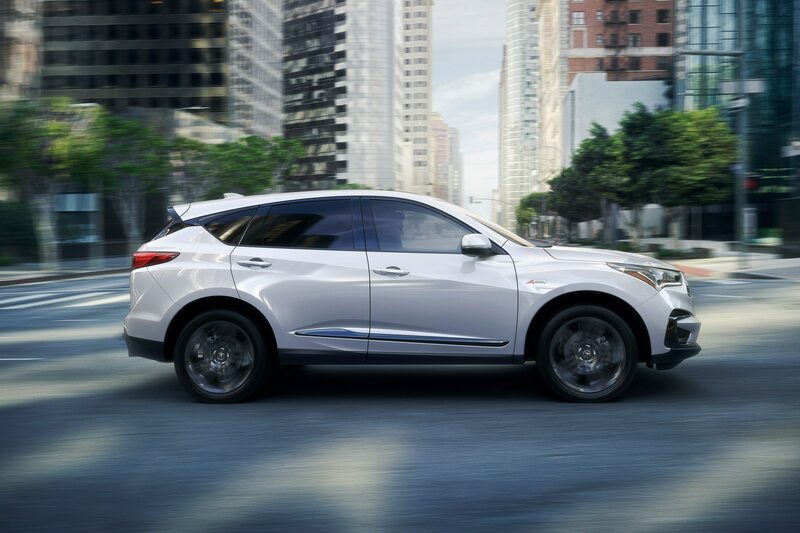 Standard safety and driver assist technology include Collision Mitigation Braking System (CMBS) with Forward Collision Warning (FCW), Road Departure Mitigation (RDM) with Lane Departure Warning (LDW), Adaptive Cruise Control (ACC) with Low-Speed Follow, and Lane Keeping Assist (LKAS). 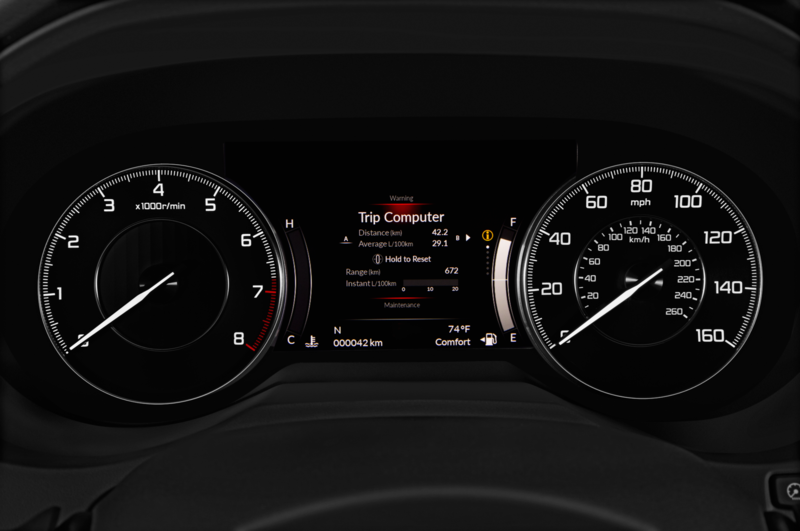 Now you can use ACC, LKAS, and the CMBS tech FTW on the road. 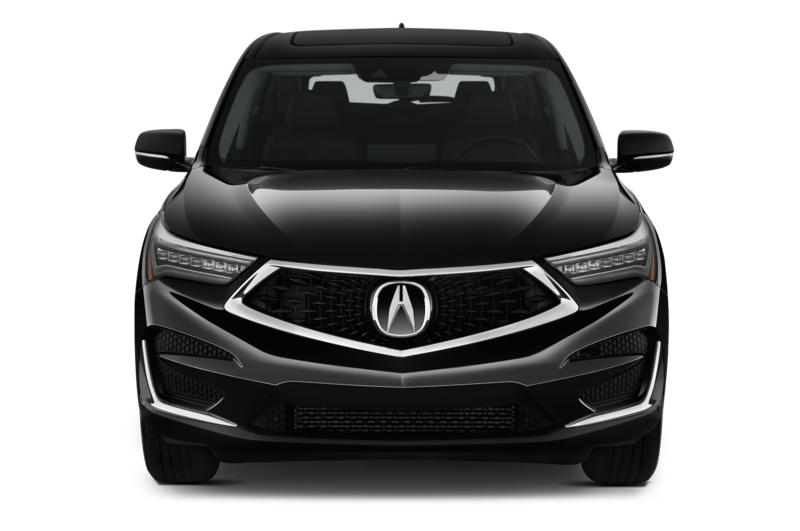 Acura plans to assemble the 2019 RDX in East Liberty, Ohio and YSK it is expected to launch sometime in the summer. 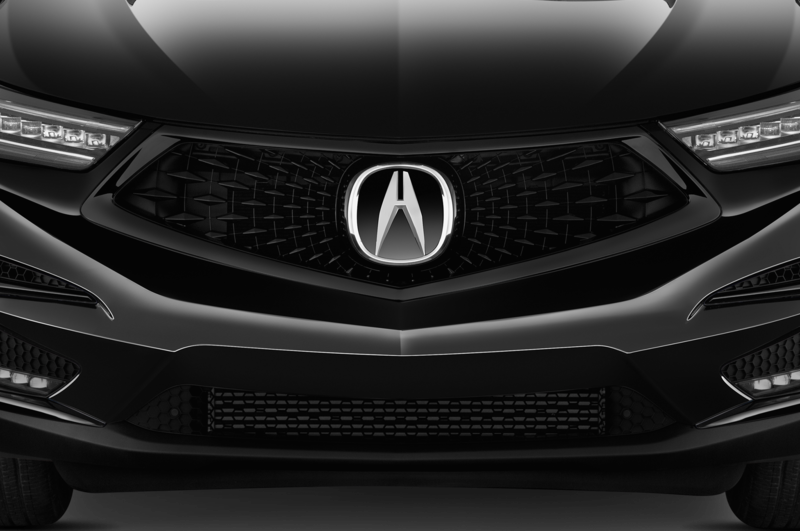 Pricing should be announced closer to that season. 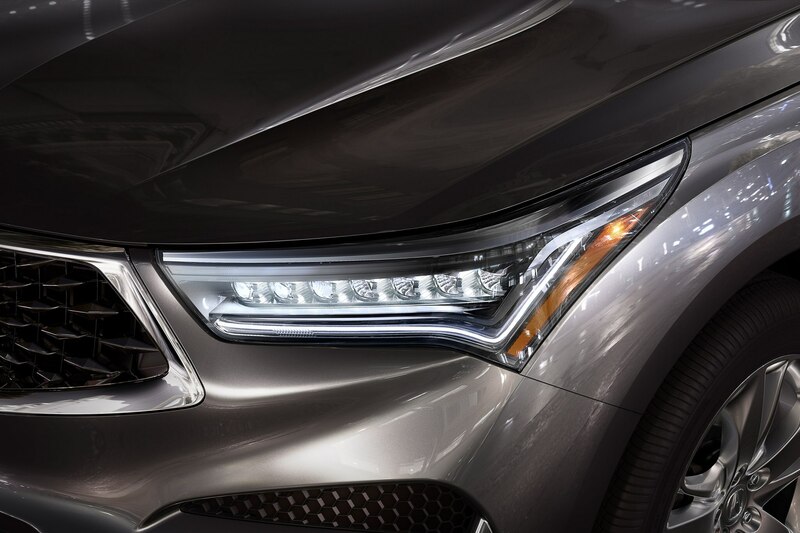 TTYL.